Protestors across the nation and here in Syracuse are calling on Congress to end the separation of children from parents among people at the border and other immigrants. 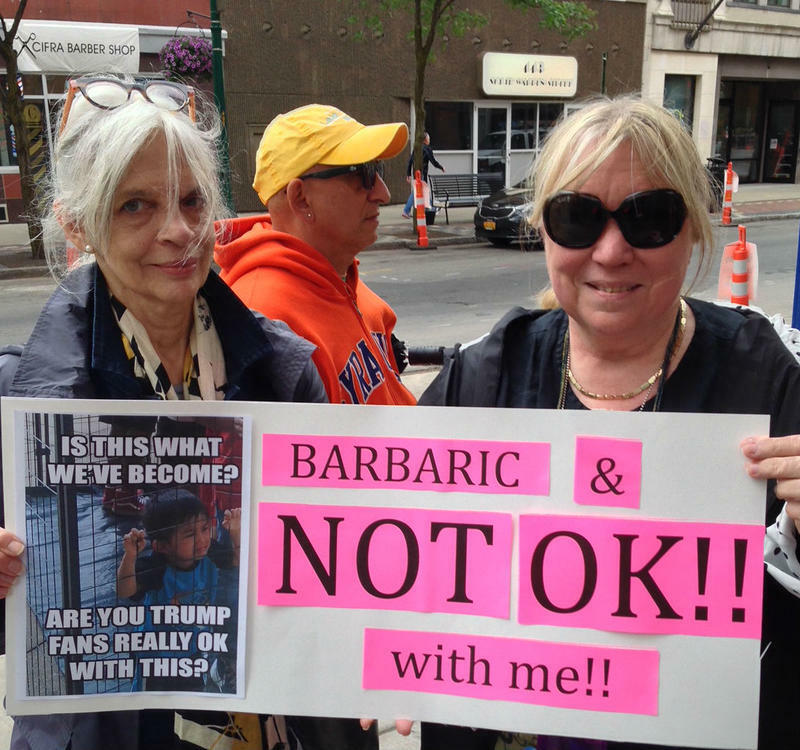 Robin Best of Manlius took part in today’s March and rally. She believes the policy for those trying to gain asylum in the United States will have long-term effects. Getting a disease because of occupational hazards or even killed on the job happens more often than you may think. 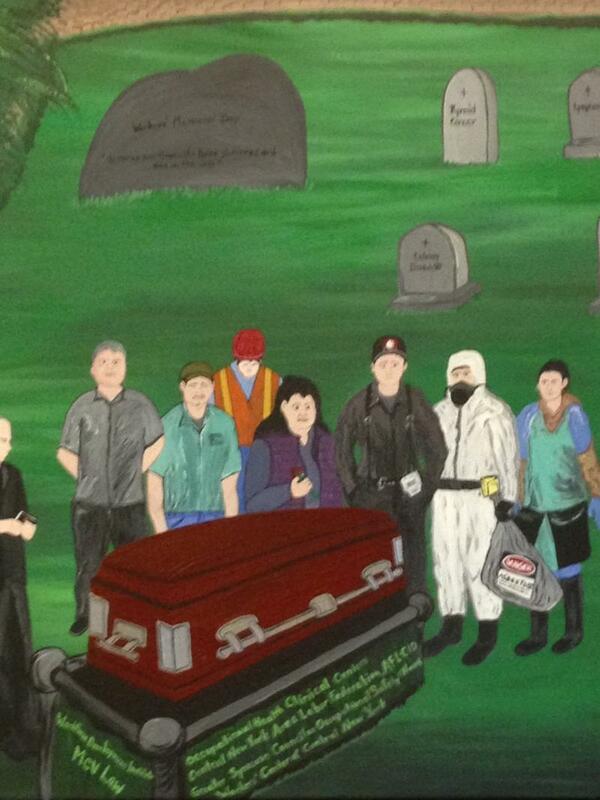 A Workers Memorial Day gathering was held on Friday to remember Upstate workers who died because of either scenario was held in Liverpool. 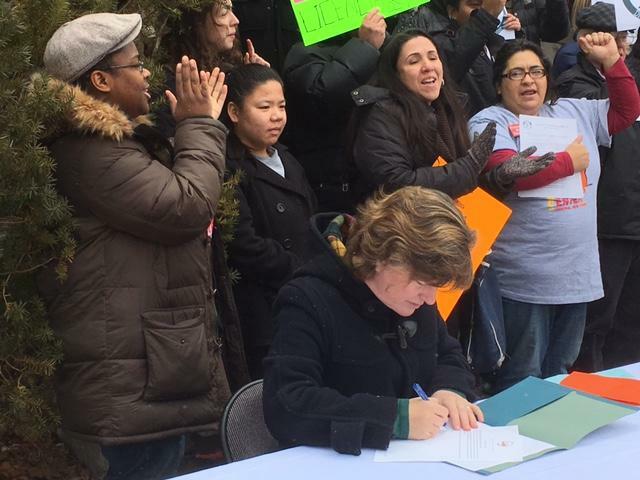 Advocates are working to provide support to affected workers and immigrants. Worker Justice Center of N.Y. Senior Advocate Carly Fox from Rochester advocates for health, safety, and compensation issues for migrant farm workers. She says farmers have made some improvements but immigrants need their help to negotiate. An undocumented Syracuse immigrant has been released on bail after a court hearing Tuesday in western New York. 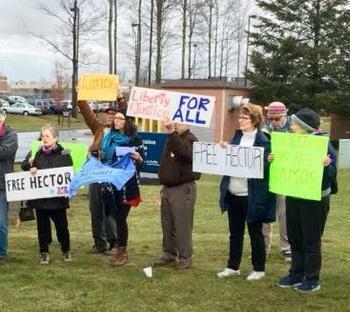 Organizers from the Workers’ Center of Central New York traveled to the federal detention center in Batavia to support Hector Navarro. He was detained by Immigration and Customs Enforcement, or ICE, at his Syracuse home on December 21st. WAER News caught up with Nikeeta Slade from the Workers’ Center while she was in Batavia. She says his bond demonstrates how important he is to the community. 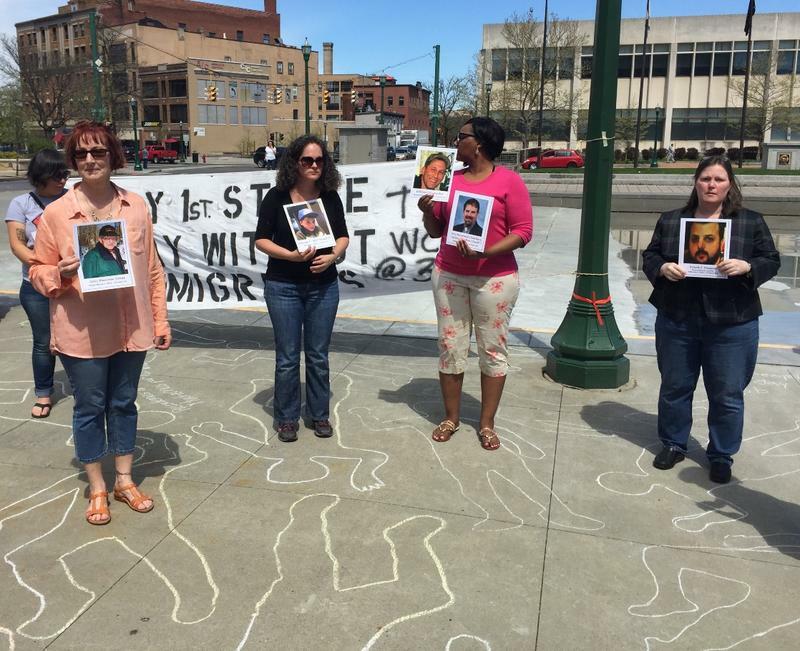 The chalk outlines of more than 50 bodies were drawn on the Clinton Square concrete today to remember the people in Central and Northern New York who died in their places of work. WAER’s Chris Bolt reports the memorial was meant to remember the victims but also to demand better safety. Andres Mendoza says he experienced the kind of attitude that can lead to workplace injuries and even deaths. About a dozen people gathered in front of Destiny USA today to demand pay for temporary janitorial workers at the Cheesecake Factory. They say a contractor doing business with the popular restaurant owes two workers nearly $400. Worker Debora Lewis describes her experience. 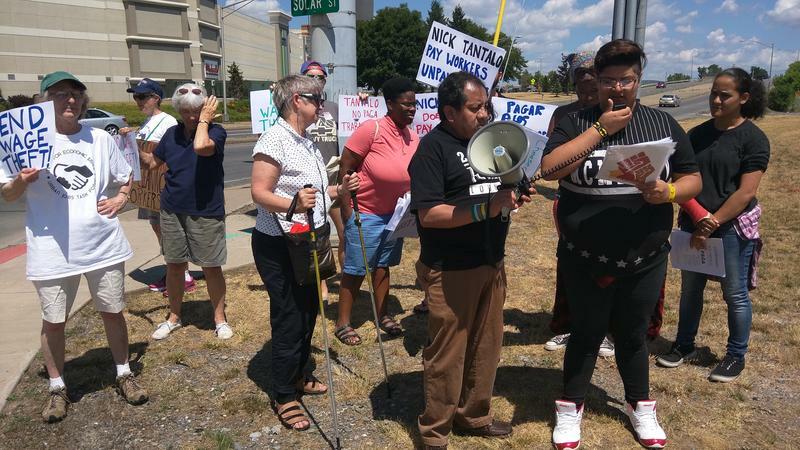 Members of the Workers Center of Central New York are in Batavia Tuesday evening to protest what they see as militaristic, violent and unfair immigration policies.